Snooze Alert! 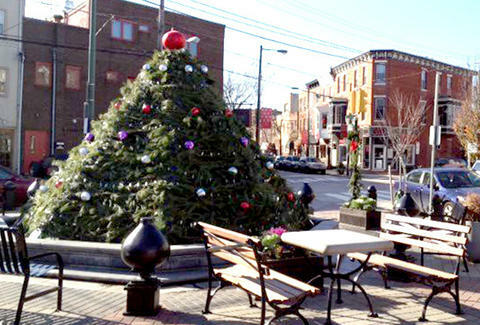 : South Philly's largest-ever holiday lighting's shutting down E Passyunk and Trasker for two hours at 5p tonight. Free Booze And Food Alert! : a bunch of local bars and restaurants're giving away gratis stuff during the lighting including Black N Brew hot chocolate, pizza and meatballs from Birra, bowls of Le Virtu pasta, and two hours of free booze from Stateside. And one more time for the people in the back: TWO HOURS OF FREE BOOZE FROM STATESIDE.